Membership is open to players aged 19 and over. The season runs from 1 September to 31 August of the following year. If you do not have a license or have not paid your dues, you will not be able to play. If you are experiencing serious economic hardship, see a Committee member so we work things out together. A valid medical authorisation issued by a Doctor practicing in France. If you don’t have a Doctor, we can suggest a few, including english-speaking ones. Once you have collected all these documents (or prior to it if you are not French), get in touch again with our Licensing Manager. The membership fee is 180 euros (reduced to 100 euros for students and unemployed). Membership fees must be paid before you are allowed to play. Click here to settle your membership fee using PayPal. The club organizes weekly trainings for players as well as matches on Saturdays in the Corpo league, in addition to friendlies and touring sides. Each player will receive a Membership Card entitling them to special offers organized with our sponsors as well as invitations to all social events organized by the club. They will receive a full kit once payment is done (shorts, socks, training top and club tie). An Alumni membership has been created to allow ex-players to maintain links with the club and each other and continue to support and promote the club. Alumni Membership is organized on a yearly basis following the BRFC season from 1 September to 31 August of the following year. The membership fee is 45 euros for those living in the Ile de France are (reduced to 25 euros for those living outside Ile de France). Alumni should complete the application form (submitted either on-line or in paper form) and payments can be made either using PayPal or by cheque made payable to ‘BRFC Paris”. Each Alumni Member will receive a Membership Card entitling them to special offers organized with our sponsors as well as invitations to all social events organized by the club. Club news will be sent to Alumni Members on a regular basis, and an Alumni Office has been set up to communicate with Alumni Members. A Social membership category has been created to allow family and friends to maintain links with the club and each other and continue to support and promote the club. Social Membership is organized on a yearly basis following the BRFC season from 1 September to 31 August of the following year. The membership fee is 45 euros for those living in the Ile de France are (reduced to 25 euros for those living outside Ile de France). 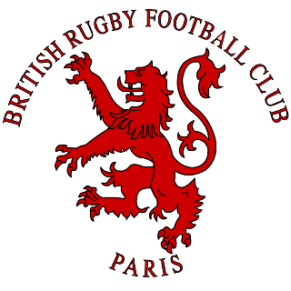 Social Member Applicants should complete the application form (submitted either on-line or in paper form) and payments can be made either using PayPal or by cheque made payable to ‘BRFC Paris”. Social Members will be expected to be able to demonstrate close links to the club including support and attendance at club games. Each Social Member will receive a Membership Card entitling them to special offers organized with our sponsors as well as invitations to all social events organized by the club. Club news will be sent to Social Members on a regular basis. Memberships must be renewed on an annual basis. The BRFC Committee reserves the right to terminate memberships.